Ok, we've given a lot of love to Discovery Education Streaming (DES) this month, and rightfully so, perhaps. DES has a lot going for it, including a large collection of embeddable and downloadable video clips, a simple protocol for searching and organizing your content, and a feature rich quiz and assignment builder that links to students stored in your domain. This allows for numerous opportunities for individual learning, though a computer with an Internet connection is required. Would an iPad be a more convenient option? DES thinks so, especially with its newest web application. Perhaps one of the more underutilized applications available at ETHS, Discovery Education Streaming offers over 80,000 embeddable and/or stand alone video clips for teachers to use, stream, and download through our servers. We last discussed how to begin taking advantage of the assignment, quiz, and writing prompt builder tools, and today, we'll dive into one of my personal favorites, the Atlas feature. We're introduced Discovery Education Streaming (DES) and its huge library of video clips, and discussed how to search for and organize content related to your subject area. Now, we take a look at perhaps the most promising yet underutilized feature of the application. How does one weave some cohesion between video clips and better yet, assign them to individual students for completion and accountability? Say "hello" to My Builder Tools. 11/12 UPDATE: Although one is always happy to see additional levels (45 in total) via an update, the folks behind the addictive Angry Birds are close to disenfranchising their fans by overloading the game with ads. I could live with a few of the ads, and the occasional video, but the placement (now in the upper right corner) and frequency (every single level for a longer period of time) have spurred numerous comments and 1-star ratings on the market. We'll see if Rovio addresses this in an update or else it'll have to worry more about Angry Fans than Birds. The New Macbook Air - Don't call it a netbook, except that's what it is, isn't it? Article first published as The New Macbook Air - Don't Call It a Netbook, Unless That's What It Really Is on Blogcritics. We initially ordered 10 document cameras for use with our Technology Demonstration Classroom program, but once these digital devices started getting used, word quickly spread on how useful and almost as important, how easy it was to get up and running with the machines. A new order of 15 cameras was received and we're in the process of deploying these to those interested teachers. 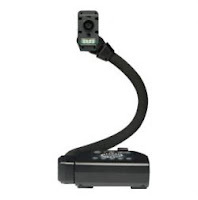 Here's a quick review and run through for the AverMedia CP-155 document camera. Why Not Google Apps? A few reasons why Google Apps for Education may not be the right choice. Image via Wikipedia I've given a lot of love to Google Apps for Education lately, including a set of "Tech Talks" this week at ETHS. However, I think it's important to consider some potential reasons why a teacher and possibly a school would choose not to "Go Google." Image by Håkan Dahlström via Flickr As New York has declared that it's going Google, and more teachers and students are starting to use the suite of Apps in their classes, I thought I'd share a few tips for some features that might come in handy as you get more acclimated with Google Apps. Specifically, we'll look at two of the more commonly requested "how-to's" from our teachers: Making Templates and Student Email Lists. Image via Wikipedia Article first published as KenKen App Roundup: Sharpening Math Skills on the iPhone, iPad, or on Android on Blogcritics. 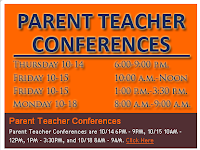 A 2-day school week for students, half day in-services, department dinners, and a 9PM departure time on Thursday means only one thing: Parent-Teacher Conferences. That's right, the opportunities to meet and greet hundreds of parents for 5-10 minutes are upon us, and I'd like to offer a few technology related tips for those upcoming speed date like experiences. Image by Getty Images via @daylife Earlier this month, we looked at some of the core functionality that can be achieved with the Smartphone. As these advanced phones become more common, we want to make sure that we are getting the most out of these high tech devices. What happens once you've gotten familiar with your basic email, calendar, and document setup? Here are three more ways to help you maximize your smartphone's capabilities and keep you in touch with the world wherever and whenever. Image via Wikipedia It is no coincidence that I see versions of our Tablet PC (Lenovo X61T) everywhere these days. On the plane, at the coffee shop, in the homes of parents of tutoring students, the trusty black laptop with the iconic red trackpoint may come in a variety of flavors, but the Lenovo (formerly IBM) Thinkpad has firmly established itself as one of the most popular laptops. The company decided to bring attention to its sales achievement (over 60 million sold) recently, so I thought I'd offer my two cents on our experience with the Tablet PC version. Image via Wikipedia Let's go ahead and complete this trilogy with some advice on Desktop machines. In the first post, I described the most important pieces to consider when searching for a new computer. In the middle post, I gave some advice on laptops in particular. Lastly, we'll take a quick look at some things to consider when purchasing a new desktop. Image via Wikipedia In my first look at computer recommendations, I discussed what components are the most important and where you may want to splurge and cut back. Since technology and prices are constantly changing, it doesn't seem too useful to give specific configuration/price recommendations in a dated post. However, I'll try to offer some general cost analysis advice as well as offer a few links to get you searching in the right places. First up - laptops.